New Zealand is the ultimate road trip destination - from the stunning landscapes to the fresh and delicious food, it's a match made in heaven. VroomVroomVroom is here to help you with all your car hire needs so that your dream of going on a gastronomic road trip adventure can become a reality! If you're wondering where to tantalise those taste buds in picturesque New Zealand, take a look below at our best road trips for foodies. We had to give props to the North Island's main city. It's a great place to start your New Zealand Road Trip. Pakuranga Night Markets: This place is jam-packed with an abyss of multicultural eats and epic street food. Otara Market: If you are wanting to try the fresh produce that is grown right here in New Zealand, this is the place to be. Ponsonby Central: A must see if you're into chic bars and gourmet food and a great place for a night out. Recommended car: For city driving we recommend an intermediate vehicle such as a Toyota Corolla or similar. This car is fuel efficient and easy to park. 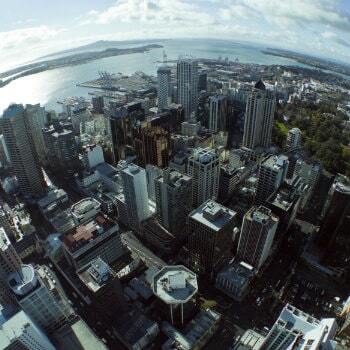 Location: Auckland is located on the North Island, serviced by both International and Domestic Airports. Could we really talk about great foodie destinations in New Zealand without an honourable mention of Marlborough? Whether you are visiting for the wineries or seafood, Marlborough is a world-class location. The Marlborough wine trail: Did you know there are over 150 wineries in Marlborough alone! Hire a bike, and explore the vineyards dotted around the area. Seafood cruise: Aside from the abundance of wine, New Zealand farms most of their salmon right here in the Marlborough Sounds. Jump on a cruise and wine and dine until your hearts content. Recommended car: For country driving, we recommend an SUV standard vehicle such as a Mitsubishi Outlander or similar for a comfortable drive. 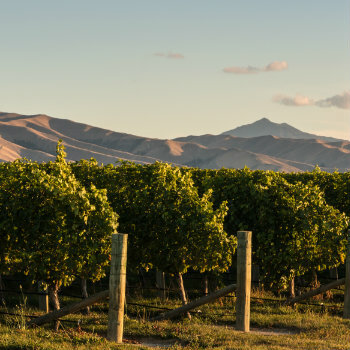 Location: Located in the northeast of the South Island, Marlborough is known as a popular wine region. Imagine ice-capped mountains surrounding a cosy town perched on the water. That's exactly what Queenstown is like. After feasting your eyes on its amazing scenery, you can now satisfy your cravings. Fish and chips as the sun is setting: Are you after an NZ classic? Wrapped up in newspaper is how you will be served the best fish and chips in your life. Sit back, watch the sunset and feast on a classic meal. Gourmet restaurants: The foodie vibe here is aplenty. Pick a cosy spot in one of their outstanding wine bars and indulge in some fine dining. The mix of word-class produce and skilled chefs is an epic combo. Recommended car: For long distances, we recommend a large SUV full sized vehicle like a Toyota Highlander or similar for comfort. 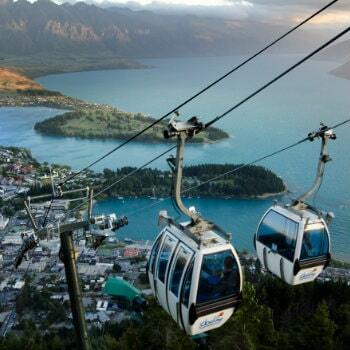 Location: Queenstown is located in Otago in the South Island of New Zealand. You will fall in love with this beautiful town (plus the drive here is breathtaking). 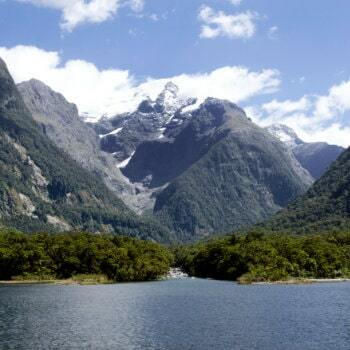 Fiordland National Park is home to the natural wonder that is Milford Sound. Not only does this place look like a postcard, the food and scenery mean that your foodie road trip just wouldn't be complete without driving here. Seafood, seafood and more seafood: This is the place to be if you are wanting to try the freshest seafoods you will ever eat in your life. Cafe hopping: There are several cafes that you can pass by on the way to Milford Sound that offer traditional Kiwi food such as Bracken Hall in Mossbourn that is known for their delicious pies. In Milford Sound, you can try out the specialties of The Discover Milford Sound Information Centre and Cafe and Pio Pio Cafe. Recommended car: For windy roads we recommend a SUV compact elite such as a Lexus RX350 or similar. Location: Fiordland National Park is home to the natural wonder that is Milford Sound and is located in the south-west of New Zealand.